Hi Dezzie! 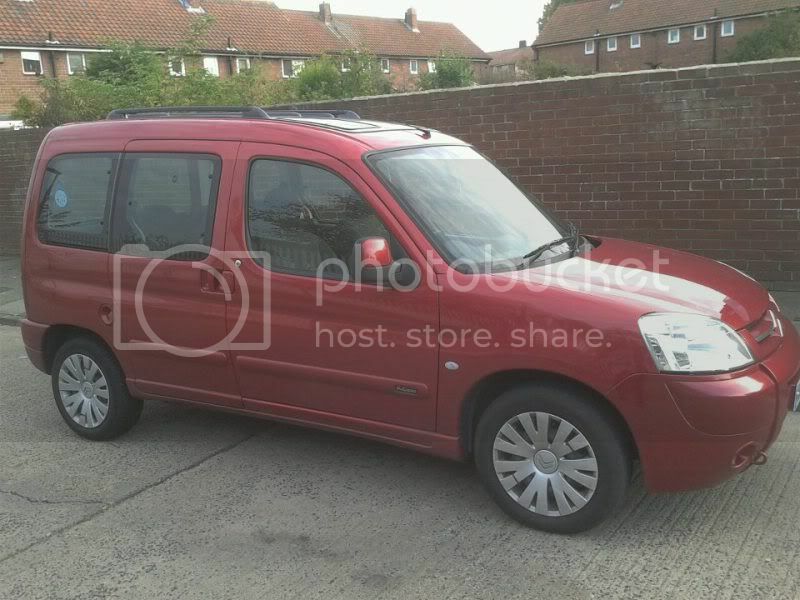 Welcome to The Berlingo Forum. So what have you bought? Van? Multispace? Desire? Can't see any pictures.....what are you using the access the site? PC or 'phone. If it's a phone I can't help you but with a PC you should be able to view all of the pics. So what browser are you using IE7/8 or perhaps Chrome or one of the others? (13-10-2011, 11:11 PM)OlJeffers Wrote: Can't see any pictures.....what are you using the access the site? All of you should be on Chrome/FF! Plenty of blinged up Berls on here, even a BASS-lingo would you believe. Its a 1.6 54 plate multispace top of the range with all the sunroofs and storage compartments in the roof, been hunting for one for ages at the right price and condition, so far it looks ok but al find out if it drives ok later, only 50k on it in mint condition for 1800 quid, bargain! Already using google chrome but still cant see buggerall in the links, got no idea what it is i have all the latest browsers and updates and my security settings shouldnt affect it whatsoever, hopefully al get to the the bottom of it! Just after a berlingo as i drive the van version at work and like the room but its also to get my monkeybike in the back that i am building over the winter, just hope the slightly lower ceiling with the storage locker in it wont affect the bike going in, fingers crossed! Ooooh looks like problems solved i can see them, wonder if i just needed time for the mods to approve my joining up to the forum, super, if owt changes al let ya know! The rear storage locker is easily removed if it does hinder access for your bike. (14-10-2011, 10:34 AM)DEZZIE Wrote: Just after a berlingo as i drive the van version at work and like the room but its also to get my monkeybike in the back that i am building over the winter, just hope the slightly lower ceiling with the storage locker in it wont affect the bike going in, fingers crossed! Well i bought it, its all mine, not perfect but still a bargain, both sliding door handles need fixing as there floppy and dont open from the outside, already read about the pin fix so think al order 2 of those, and clutch is a bit heavy but no biggy, other than that just needs a valet and bobs ya mothers brother! Oh and yep am havin a workshop built in the next few weeks, nice sturdy 10x10 man shed i hope this bikes worth all the expense, cost me 1800 for the car, 1800 for the shed and bikes probably cost me 2k in bits already and i still havent bought the engine etc yet!